Rosewood Hotels & Resorts aim at ensuring a matchless luxurious stay unlike any other on earth. Therefore, in different parts of the world, its properties engulf special kind of style as well as ambiance reflecting the local culture for enhancing each part of the guest’s experience. Rosewood Hotels & Resorts are of the opinion that a genuine excellent status of a luxury hotel can only be attained by blending the local traditions with the extraordinary service.This is the secret behind its “Leading Luxury Hotel Brand in the World” award given World Travel Awards. One of the exclusive Rosewood Hotels & Resorts properties is in the heart of the Japan’s capital. Nestled in lively Ginza District, Hotel Seiyo Ginza is a true Rosewood experience in Japan – the only one of its kind in Southeast Asia. This opulent retreat of contemporary coziness is a perfect one not only for leisure travelers but also for the business people. Hotel Seiyo Ginza has stylishly selected 77 rooms boasting thoroughly blending interiors with the contemporary amenities for ensuring the most enjoyable stay for the guests. Inside the rooms, expect room temperature as well as humidity controls, the most spacious bathroom in Japan boasting different space for shower and bath with bathrobes and slippers, steam baths, private dressing rooms for the ultimate in comfort, and premium bedding. Also, you will come across cable TV, DVD and CD players, VCRs, high-speed Internet, multi-line phones, walk-in closets, refrigerators, complimentary weekday newspapers, makeup/shaving, sitting areas, hypo-allergenic bedding, and irons/ironing boards. Each Hotel Seiyo Ginza room caters to the sensitive guest needs. So, besides standard services, a butler as well as personal concierge services is always active since check-in until check-out. The room types include Standard, Superior, Deluxe, Deluxe Boudoir, Junior suite, Sakura suite, and Premium suite. As it is a 5-star hotel, the rates are also very high. Starting from JPY 34,000 for a standard room, the rates soar up to 190,000 that is for a Premium suite featuring own private dining room. 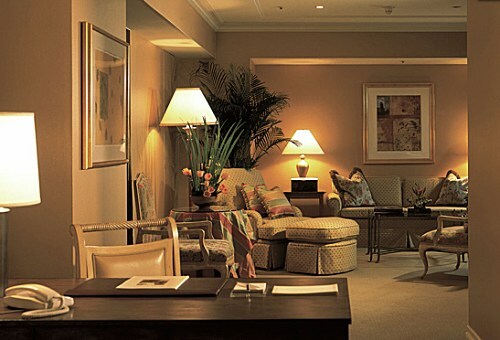 Other amenities as well as services include lounge, café, business center, limo car service, secretarial services, conference/meeting rooms, a ballroom, and exhibit space, a fitness centre, valet parking, translation services, currency exchange, 24-hour front desk, Air-conditioned public areas, and audio-visual equipment. Hotel Seiyo Ginza offers a team of butlers for all hours to provide everything to the guests as per the tastes and preferences so that they feel fully at home. For business purpose, there are six meeting rooms facilitating official social or business gatherings in a tailoring environment featuring dedicated accommodations and world-class cuisine. 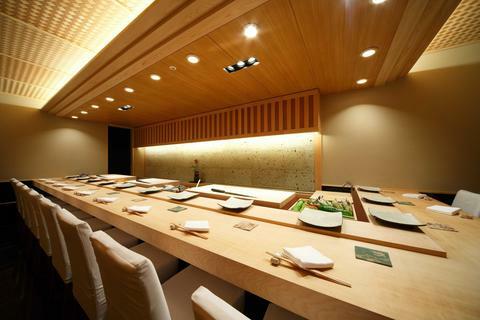 The Hotel Seiyo Ginza restaurant offers menu of fresh ingredients in flair. On the second floor is Repertoire that is the prime dining zone offering all the three meals of the day. Other options here are Attore Restaurant, Kitcho Restaurant, Takewaka Restaurant, and Bakery & Pastry Shop. All are best here! Seiyo Ginza also welcomes children for whom extra towels, cribs, or rollaway beds can be requested. Guests are requested to show the ongoing government-issued identity proof while check-in. Further, credit card or cash deposit is asked for incidental charges. Above all, pets are not welcome here. This Rosewood extravaganza is close to known attractions such as San-ai Building, Mitsukoshi, Kabuki-za Theatre, and Imperial Palace. Further, the Tokyo station is also near to it. Therefore, the tourists are even more pulled towards it. I think if you can afford, you will surely make your next move to this most luxurious hotel in Japan. I would recommend to come here with your family for more fun.